Understanding what viscosity grades mean can be confusing. The average driver just tries to follow what is in the owner’s manual – this is a good practice. Some owner’s manuals allow for different grades based on the predicted operating temperature. For example, they may specify a 0W30 synthetic or a 5W30 mineral oil. Others may have a chart which gives recommendations based on the ambient temperatures. Newer vehicle manufacturers are recommending even lighter grade engine oils, because there are fuel economy advantages to doing so. In this chapter, we are not going to talk about viscosity grades – that will be in chapter two. In this chapter, we will talk about some basic principles of viscosity and how it relates to your engine. For the purposes of this chapter we will talk about viscosity in the unit it is most often measured centistokes (cSt). You do not have to worry about what that means, but cSt are different from the SAE viscosity grade. For now, let us focus on the basics. Viscosity is a fluid’s (gas or liquid) resistance to flow. A high viscosity fluid (like molasses) is thick and does not flow easily. A low viscosity fluid (like water) is thin and flows much more easily. For most liquids, the flow rate changes as the temperature of the liquid changes. 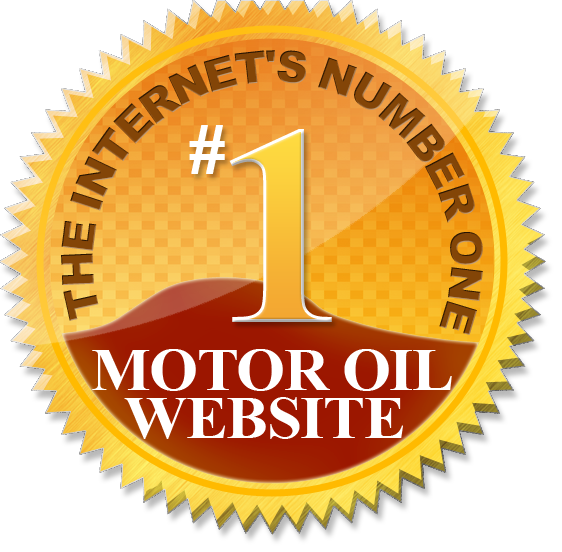 In engine oil, hot oil has a lower viscosity and flows more easily than cold oil. This is important because your engine – and the oil that is in it runs over a range of temperatures from start up, through the warm up period and on to operating temperature. In the early days of the automobile, engine oils were very simple, basic refined fluids that helped keep moving parts easily sliding past each other. Different oils had different flow rates and there was a very simple way to reference their flow rates relative to each other. Each range of flow rates was assigned a letter; A, B, C were different “weights” of oil – or thicknesses. Around WW-II the Society of Automotive Engineers (SAE) devised a numerical system that would allow a wider range of viscosities to be described based on numbers. We use a variant of this system today. Over time various additives were put into engine oils to allow them to do different things, like changing the flow rate as the temperature changed. Because of these changes the grading system also was changed. This is part of the reason behind why it is so complicated now. But we will talk about that grading system later. For now, let us just focus on what happens to a basic oil as the temperature changes. Sometimes confusion occurs because people think in terms of the oil thinning when it gets hot. They think this thinning with heat is the problem with motor oil – but in a properly running motor, engine oil does not get too hot. It would be more correct to think that oil thickens when it cools to room temperature and THIS is the problem. It is said that 90 percent of engine wear occurs at startup. If we are interested in engine longevity then we should concentrate our attention at reducing engine wear at startup. Oils recommended given by the engine manufacturer are primarily based on giving the right thickness at the normal operating temperature. So let us focus on that. As an example: If the normal operating temperature hypothetically is 212F (100C) and the engine needs to operate with an oil viscosity of 10 cSt based on the manual recommendation; then what does that mean for the engine oil at startup when the engine is not at 212F? What about during the warm up period? What happens to the oil then? In an ideal world the engine oil viscosity would always be 10 cSt, however in real world terms, the oil thickens as the temperature decreases. In fact, a basic un-additized mineral oil can thicken so much that it will not lubricate the engine properly at all. If the oil is 10 cSt at 212F, then at 104F (40C) it thickens up to 100 cSt, and at 32F (0C) to 250cSt and so on. This gets increasingly worse as the temperatures drop, and at the low temperature limit for a particular oil, when it gets really cold, it can be over 1,000 times thicker than at operating temperature. At this point, the engine might not even start. If it does, the oil might not be able to be pumped into the areas that require it, which can cause more wear, or even cause the engine to break down. So, the easy way to fix this is to just have the oil be 10cSt at startup right? After all, if the right viscosity for the engine to operate is 10cSt why not just start there and let it be? The engine would be properly lubricated and no harm would result. The problem is that if you started at 10cSt then as the engine gets hotter (which they do) then your oil would be much too thin when the engine reaches operating temperature. So, what do you do? Engines have a wide range of start-up temperatures – which even change as the seasons change. How do you get the right operating temperature viscosity when the start-up temperatures are so widely different? In the old days, you would use a thicker oil in the summer and a thinner oil in the winter. Today with pressurized water cooled engines, the engine blocks run close to the same operating temperature all year round. As the engine warms up to that temperature the oil starts out thick and slowly thins out as the temperature increases. This is very inefficient and causes the engine to waste energy slogging through oil that is too thick. Therefore, what you need is the right operating temperature viscosity with the flexibility of different startup temperatures; i.e. an oil that either does not thicken too much as the temperature decreases and does not thin out too much as the temperature increases. Using our above temperature and viscosity example, it should be close to 10cSt at start up and then remain close to 10 cSt throughout warm up and up to operating temperature. It will not be possible to remain 10cSt at every temperature, but if we are closer to the colder temperatures that would be better right? So, the industry invented an oil that does just that, and called it a multi-grade oil.